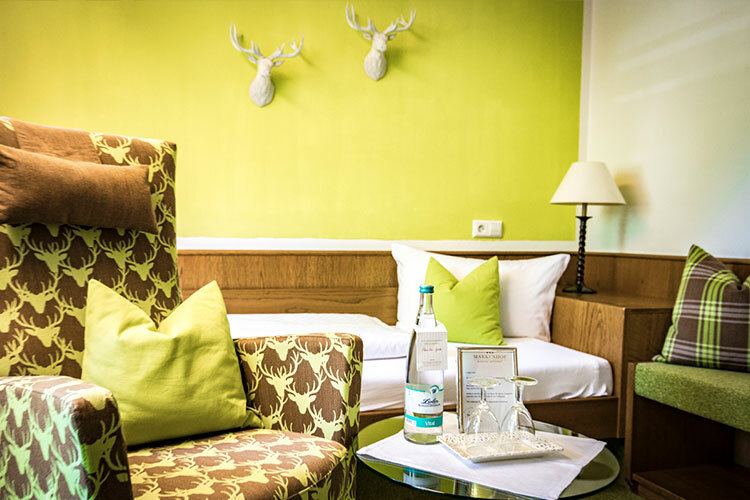 Our two centrally located hotels Markushof and Quellenhof maintain a ***-star upper middle-class level of comfort and service with a total of 80 beds. The restaurant and reception are located in the main hotel Markushof; here, guests can book any of our 22 single and double rooms as well as two elegant junior suites. 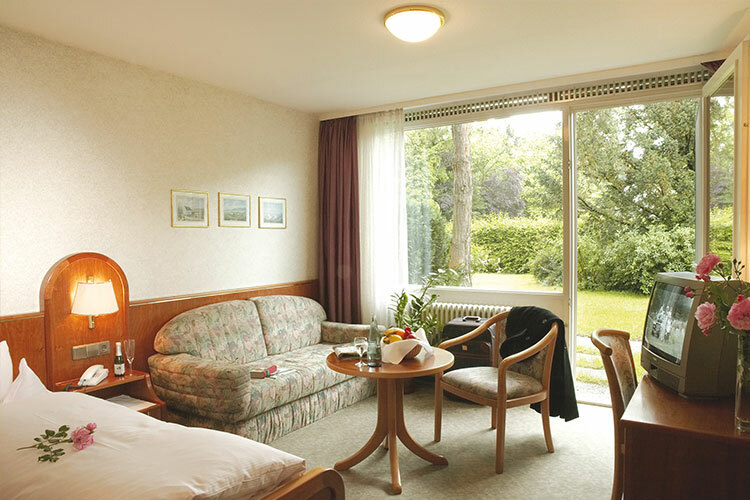 The neighbouring hotel Quellenhof features a large garden with sunbathing area, outdoor swimming pool and access to the Gilgin family physiotherapy practice. 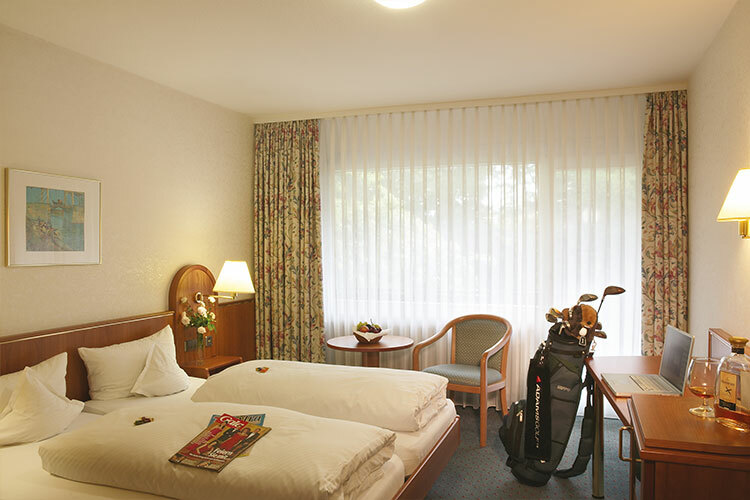 Our guests here can book any of our 23 single and double rooms as well as an elegant and spacious junior suite. 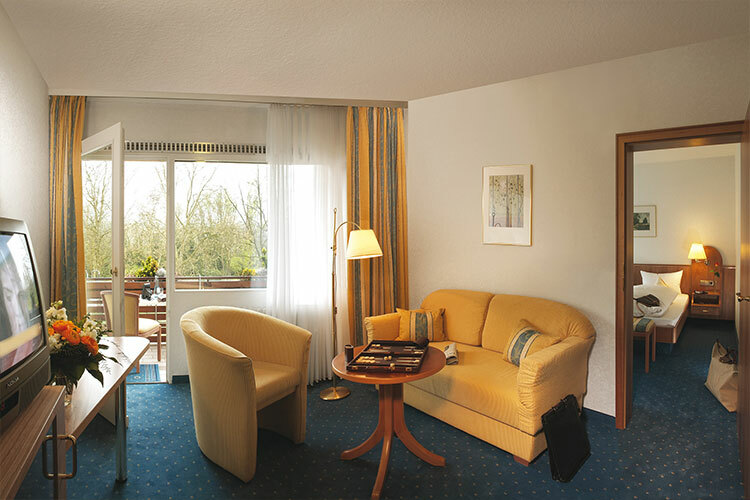 Both the single and double rooms can be booked in our comfortable superior category or the budget standard category. All rooms are fashionably furnished and equipped with a shower or bath, toilet, hairdryer, telephone, TV, wall safe and often also a balcony or garden terrace. The large outdoor swimming pool at Quellenhof proides welcome refreshment throughout the summer. Relax and read in the shade of the old trees or sunbathe on the more than 2000 m² lawn surrounding the swimming pool. To complement your thermal baths at Balinea Thermal Spa, take advantage of the treatments offered by the Gilgin family’s Institute for Physiotherapy at Quellenhof. You may look forward to therapeutic treatments as massage, acupuncture, physio-, kinesi- and electrotherapy and back pain prevention programme. The charming surroundings of Markgräflerland are not just ideal for relaxing, but also for working. 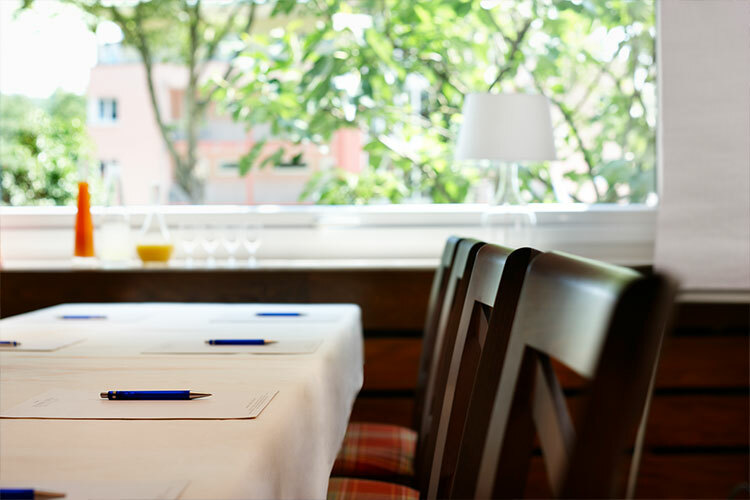 Our spacious conference room flooded with daylight and the large Quellenhof garden provide the ideal environment for seminars, conferences and business meetings. We would be happy to devise a bespoke conference package for you, including business lunch, coffee breaks and overnight stays.